In a nutshell, the enhanced option allows home sellers to take advantage of a suite of services to improve their home before they list so it sells for top dollar. And ideally, those improvements will boost the property’s chances of selling quickly as well, which coincides with a higher sales price. As noted, Redfin Concierge comes with a variety of services to improve a property before its listed. After all, you only get one chance to make a first impression – and in real estate, time is money, literally. The more your home languishes on the market, the lower the chance your property will sell for list or above. That’s where Redfin’s new service comes in; they’re here to help with important yet tedious stuff like deep cleaning, painting, landscaping, and home staging. While important, a lot of these things fall outside the scope of traditional real estate services, especially a discounted real estate agency. But they can make or break a listing, so in a sense they’re pretty invaluable. In other words, they’ll focus on all the details they think will maximize a return and get buyers to sign on the dotted line. That will of course vary from property to property depending on its condition and buyer wants/needs in the target market. But if the home could use a little tidying up, and maybe a new coat of paint and improved curb appeal, this service could do the trick. Those with more major projects who don’t want to put in the time, and/or want to sell quickly, can look at a service like We Buy Ugly Houses instead. While Redfin’s Concierge Service sounds pretty awesome, it comes at a pretty big cost. We’re talking a doubling of the listing fee, from 1% to 2%. That’s a 100% increase. The good news is that the 2% is still lower than what most full-service real estate agents charge their customers, though it aligns with another service called REX. Typically, real estate commissions range from 5-6%, with each side earning either 2.5% or 3%. So the 2% is still cheaper. It might be closer to the 4% real estate fee you may have come across. And as mentioned, most real estate agents don’t offer ancillary services like cleaning, painting, and staging. So if all works out, you might get more for less, and sell your home for a lot more. That’s the hope at least. 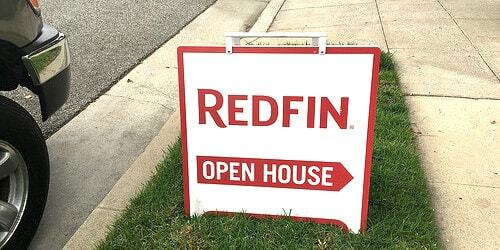 Redfin still offers the option to do it yourself for the 1% fee, but it’s probably going to be pretty tempting to just have someone else do it, especially if that extra 1% can be absorbed via a higher sales price. The new service is initially rolling out in just two markets, Los Angeles and Washington D.C., with more expected in the future if all goes well. It is currently available for homes priced at $500,000 or higher. The list of provided services is deceptive. We just tried to use this service for our home which will be listed at 849K. Our Redfin concierge wasn’t even able to cover interior painting and staging for the incremental 1% … considering our home is a mere 1200 square feet it’s disappointing that this service doesn’t even cover the basics. What’s worse is we wasted critical time going through the quote process because the concierge didn’t have a basic understanding of the costs for our area.